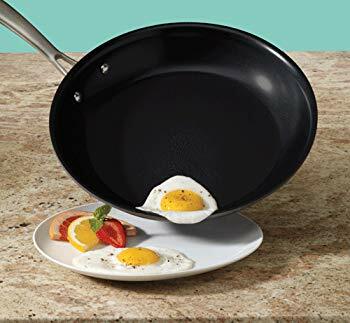 Safe non-stick cookware that’s free of harmful chemicals like PTFE and PFOA. It has a ceramic-based surface that won’t scratch or peel off like teflon-based products do. I’ve had my set for at least 10 years, probably longer, and they’re still in great condition. These and my beloved (but considerably more expensive) Le Creuset set are the only pots and pans I use.